Made of tough, heavy resin. Size is 11 inches long, 3.25 inches wide, 3 inches high. 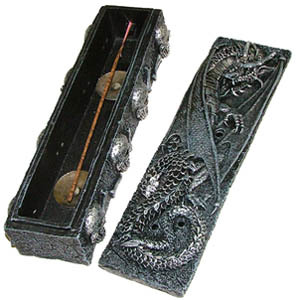 Lid opens to reveal a compartment to burn incense sticks and cones. Holes in the top and sides allow the smoke to pour out.